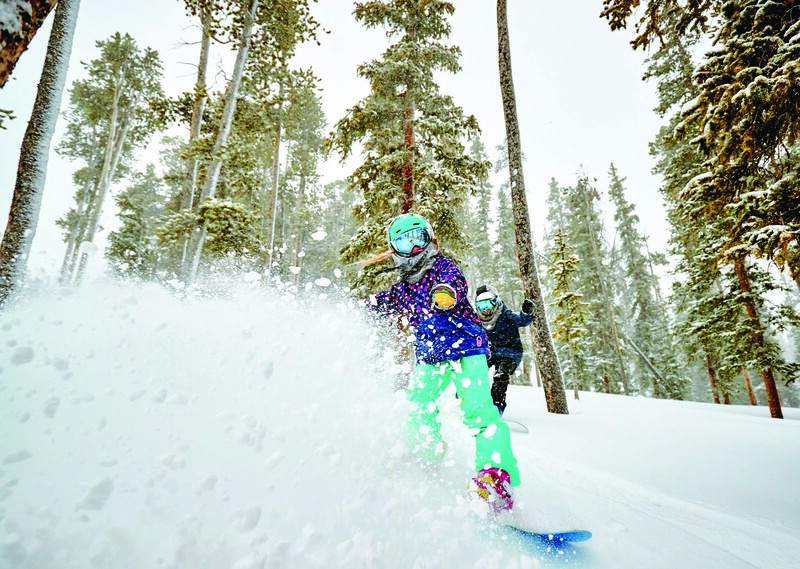 When it comes to a family friendly resort vacation, Keystone rules the roost. Whether you and your brood channel the von Trapp family while hiking the trails on an autumn afternoon or hit laps on the gondola for an early morning of fresh powder, this place makes mountain adventures manageable. Here’s how families with young children can make the most of it. Keystone runs a bit under the radar when it comes to gastronomic delights, but the comfy village area dishes out some quality bites. For a quick breakfast burrito and a shot of caffeine to start the day, the convenience of Inxpot (inxpot.com) in the village will help get you on the lifts in a hurry. For a more hearty breakfast, order the cheesy grits and elk sausage at Haywood Cafe (haywoodcafe.com). Head back to the condo for lunch or grab a portable and delicious crepe at The Crepe Stand (think Nutella). Want to gather beta from ski patrollers and instructors? Head to the Snake River Saloon (snakeriversaloon.com) where late night musicians entertain guests multiple times a week. Finally, for stinky cheese and European ambiance, check out Der Fondue Chessel (keystoneresort.com) on the mountain. Melted chocolate and cheese top just about everything here. One of the benefits of Keystone Resort is that all of the lodging is convenient. Accessibility to the slopes is easy wherever you stay, making the gear schlep less of a chore. And the shuttle system ferries you in from lodgings on the outskirts. And handy red wagons are prolific in the village area, making the toting of kids ski gear to the gondola a breeze. To snag a home away from home, check out River Run Condos (keystoneresort.com). The one- to five-bedroom condos can sleep anywhere from 1-14 people, so you can move in for a long weekend and take advantage of all of the amenities. That also means saving some cash on food since you will have a stocked kitchen. Or if you want to splurge and get a true ski-in ski-out experience, book at a Lone Eagle or Timbers properties. Book lodging through Keystone and you will get tons of perks for the kids. They ski free with a minimum of two nights booked and the following activities are also complementary: access to the ice rink, night skiing on the first day, yoga and fitness classes, access to the Nordic trails, and early-bird skiing. Furthermore Keystone’s Kidtopia, free children’s programming, runs all year long, with parades, s’mores by the fire, family game nights, and even fireworks. Up on the hill, the three-and-a-half-mile-long green run School Marm is the perfect place to start shredding.